Dried Mulberry is a very nutritious dried fruit like any other berries. They are rich in vitamin C, Iron, calcium, fiber, protein and it helps you to protect against cancer. 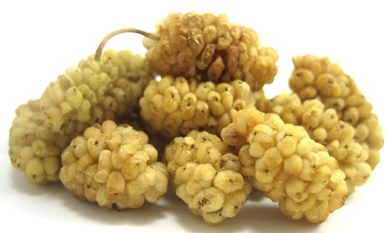 Dried Mulberries are delicious and healthy snack. They are in golden color, size is like raisins and have sweet, chewy taste like dried figs. We collect them from trees and dry them under the sun, without any preservatives or additives.